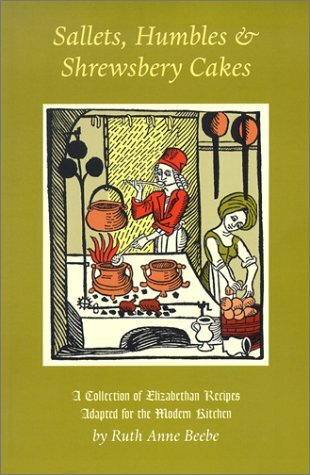 Gode Cookery has a great collection of Medieval Recipes with the original text, translation, and modern instructions. 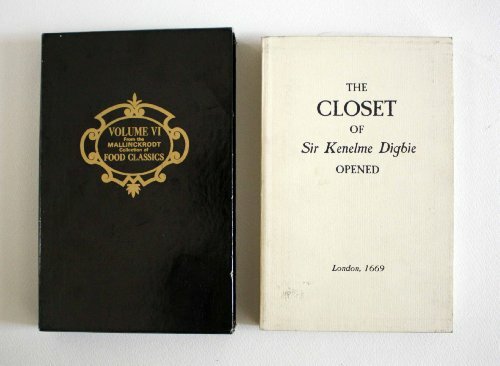 I like the Kenelme Digbie recipes for reading, but they're of questionable use in the kitchen. Some cookbooks are more kitchen friendly, but purists complain that they depart rather far from the original recipes. Be sure to check the reviews such that you get what you need. 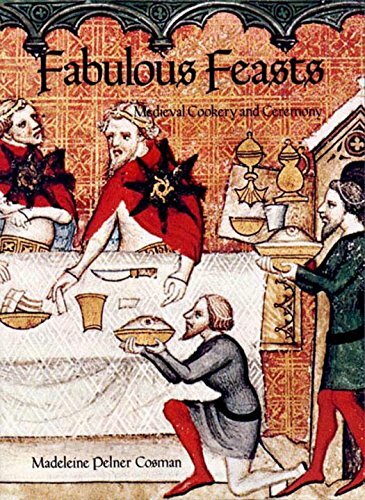 This fully illustrated book describes the extraordinary range of food which found its way on to the tables of medieval English society, its production and distribution. Although bread, ale, meat and fish were the staple diet, fish often came from as far away as Iceland, and as early as 1480 over 100,000 oranges were being imported to augment the diet. 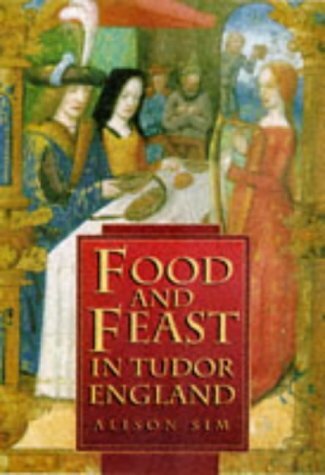 The book covers a wide range of medieval food, from hunting, fish breeding, brewing, baking, food hygiene and storage. 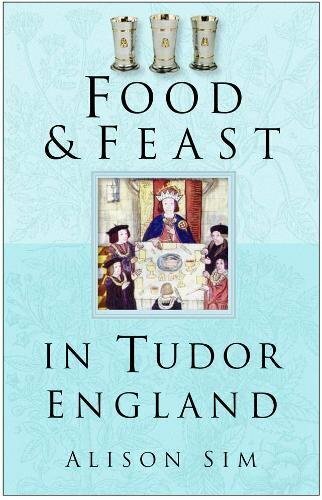 The book concludes with an examination of medieval feasts, such as that held at York on 26 December 1251, which took six months to prepare, and saw the consumption of no fewer than 68,500 loaves of bread, 170 boars and 25,000 gallons of wine. 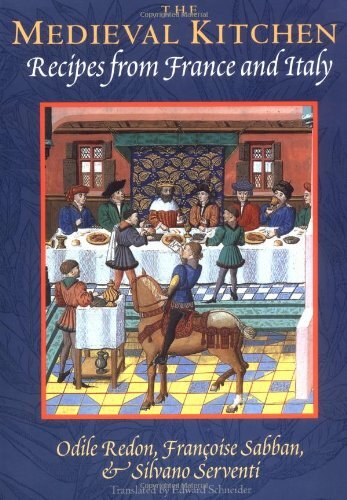 Based on archaeological and documentary evidence, this book aims to provide an introduction to an often neglected topic of medieval life. 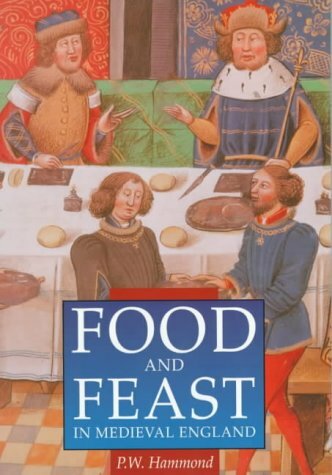 Based on archaeological and written evidence, this book deals with eveything we know about Medieval food, from hunting and harvesting to food hygiene and the organization of a large household kitchen. 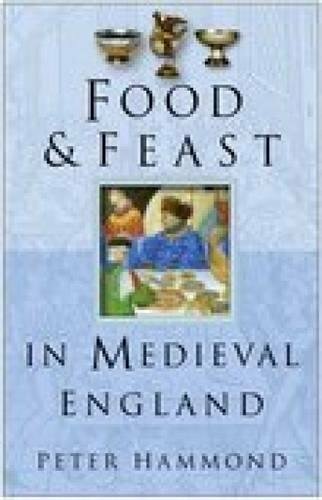 Evaluates the nutritional value of Medieval food, the customs associated with its serving and eating, and the organisation of feasts. Popular representations of the Tudors at table have caricatured them as loud, gross and lacking any manners. This is actually far from the case, as food and dining were used as social display by the upwardly mobile. For those with money, meals became extravagantly sophisticated, with a staggering number of courses and breathtaking table displays. Even those lower down the social scale enjoyed some of the benefits of increasing prosperity and the new markets which England's merchants exploited, bringing new foodstuffs into the country and new ideas about eating. A review of cluttered cookbook shelves reveals a surfeit of fetchingly illustrated, full-color books of contemporary cuisine, and a shocking lack of titles dealing with the real history of gastronomy. 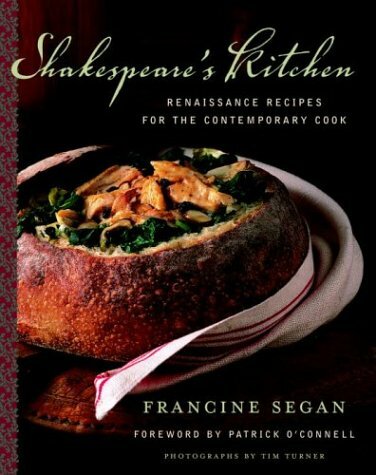 This compendium of Elizabethan recipes, gathered and annotated (and, we might add, carefully tested) by Ruth Anne Beebe is not only historically accurate (and in places downright fun) but also usable. 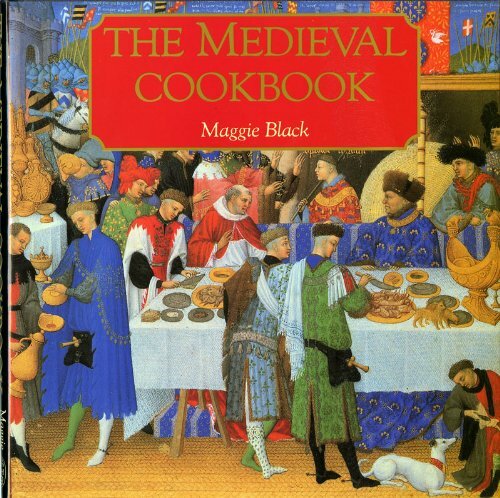 In addition to a rich selection of the transcribed original Elizabethan recipes, Beebe has provided modern formulations, including ingredients and measurements. There is much more to this cuisine than the expected meat and Shepherd's pie; here is fascinating advice on how herbs were used to flavor and preserve, how ale was brewed, and how to "fry an egg as round as a ball." 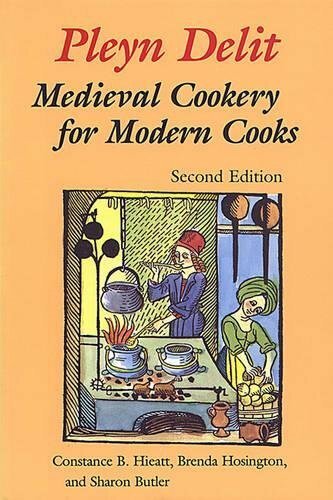 In addition to the recipes, the book offers sample menus, a glossary, an index, and a host of elegant and wonderfully evocative period woodcuts all printed in red. 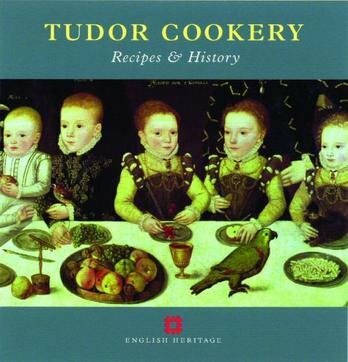 Many of the recipes are for drinks, particularly of meads or metheglins, but the culinary material provides a remarkable conspectus of accepted practice among court circles in Restoration England, with extra details supplied from Digby’s European travels. 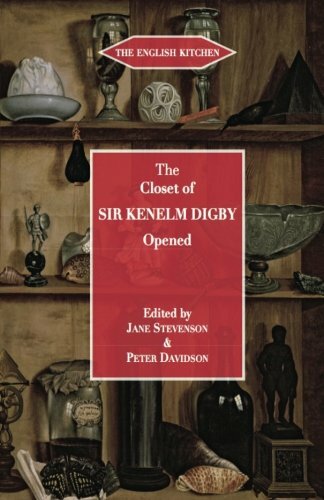 The editors also include the inventory of Digby’s own kitchen in his London house, discovered amongst papers now deposited in the British Library; and they have provided a few modern interpretations of Digby’s recipes. The work was last printed in 1910, in a sound edition that is no longer easily available. This new version has several improvements. The editors discuss the role of George Hartman in the compilation of the book, and relate its contents to the work that went out in 1682 over Hartman’s own name, The True Preserver and Restorer of Health. There is a full glossary and the reader will be helped by the extensive biographical notes about people named in the text as the source of recipes. 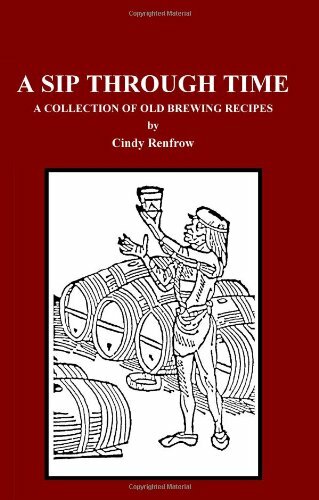 A Sip Through Time, A Collection of Old Brewing Recipes contains, in a single illustrated volume, over 400 documented historic recipes for ale, beer, mead, metheglin, cider, perry, hypocras, wines, etc., dating from 1800 B.C. to modern times.